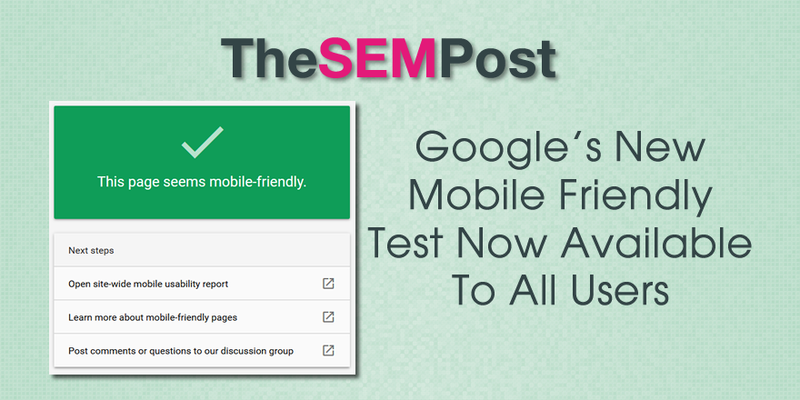 Google has officially launched their new mobile friendly test to all users. This coincides with the recent increase to Google’s mobile friendly ranking boost this month. 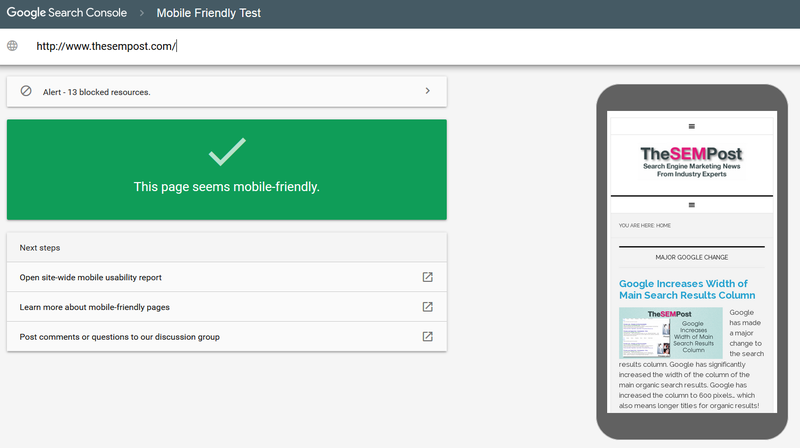 The new mobile friendly test actually started showing up earlier this month to some users. But it is now in the process of rolling out to all users. The old mobile friendly test page does not currently redirect to the new version of the tool, so you will have to access it directly here. With the new update, it is unfortunate that Google doesn’t split out third party blocked resources from the ones that are on-site. Since webmasters can largely ignore third-party blocked resources (although it is suggested they contact those third parties to unblock them) it is a shame that on-site ones aren’t given a higher priority on the list or flagged in some way. One downside is that the new test seems to ask users to prove they aren’t a robot on every test, some requiring the “click all photos of xyz” as well. This happens even when users are logged into the system.